A visit to the Olympic Peninsula would be incomplete without experiencing camping on the Hood Canal! 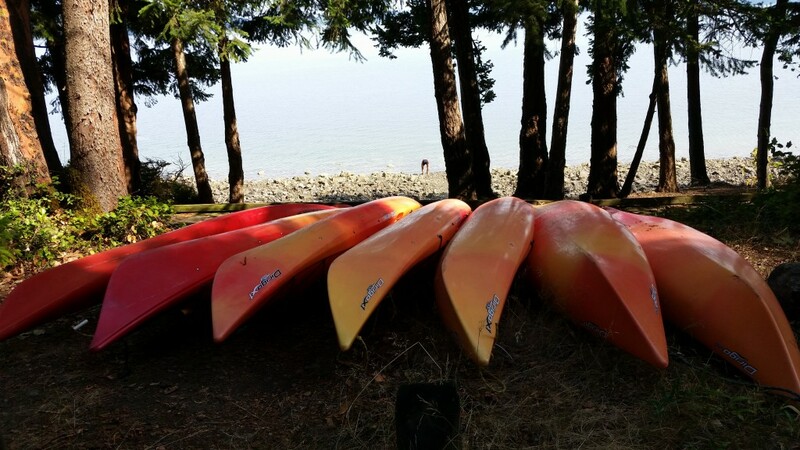 Kayak Brinnon is the only outfitter permitted to deliver kayaks to Olympic National Forest’s Seal Rock Campground. This popular waterfront campground is shaded by the forest and has waterfront access for kayaking and paddle boarding. The campground is located about 30 minutes south of Port Townsend and about 1 hour north of Olympia, within the Olympic National Forest. We will deliver kayaks to the campground for full day, overnight, and multi-day rentals. You can rent kayak crab pots to enjoy a feast of crab at your campsite too! Delivery to Seal Rock is only $15, which includes pick-up. Delivery is charged per load, not per kayak. Crab pots are $15 for the 1st day and $5 per additional day. Crabbing season in the Hood Canal generally runs late June through August. See the WDFW website for information on size limits, licenses and other shellfish harvest information. Furthermore, if you choose to do a multi-day kayaking tour of the Hood Canal, this campground is an excellent place to camp along your route. We can help you plan a multi-day kayaking trip and facilitate your equipment needs and logistics. We also lead multi-day kayaking tours for groups. You must provide your own food and camping gear and we provide paddling equipment and a Guide. Your guide will teach your group about the marine wildlife and Hood Canal ecosystem in addition to teaching you to catch your own crab and other shellfish to cook up for dinner! Please give us 48 hours notice for deliveries and at least 2 weeks notice for guided multi-day camping trips.